UNESCO TOWN: I am in front of Český Krumlov Castle which dates back to 1302 and was owned by the House of Rosenberg for 300 years. It is a world heritage site. RIVER BEND: The River Vltava flows through the old town of Český Krumlov in the shape of a horse shoe. LIVING HISTORY: Český Krumlov Castle, which has ancient yet active court theatre, captive bears that live in the moat and along with the town hosts a Medieval re-enactment fair. LYING in south Bohemia is one of the Czech Republic’s best kept secrets. Český Krumlov is best known for its fine architecture and history, a prominent castle and lies in A UNESCO World heritage site. 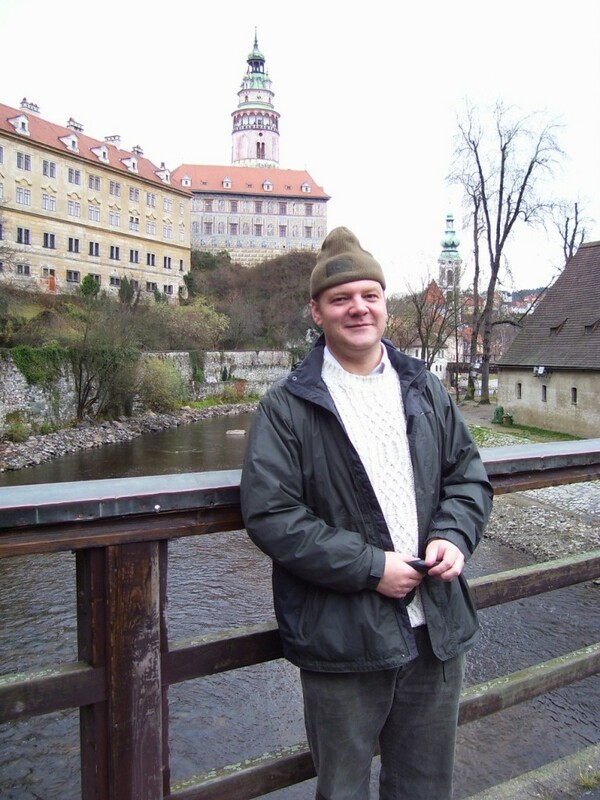 It shares the same status with the Prague Castle district. The town is awash with history. The architecture of the old town and the castle covers Baroque, Renaissance and Gothic styles and was designed between the 14th and 17th centuries. The core of the old town is within a horseshoe bend of the River Vltava and historically was an important trade route in old Bohemia. It was passed through a number of noble families over seven centuries. The House of Rosenberg owned the Castle from 1302 to 1602. Emperor Rudolf II bought Krumlov in 1602 and gave it to his natural son Julius d’Austria. The castle was owned by the House of Schwarzenberg between 1719 and 1945. 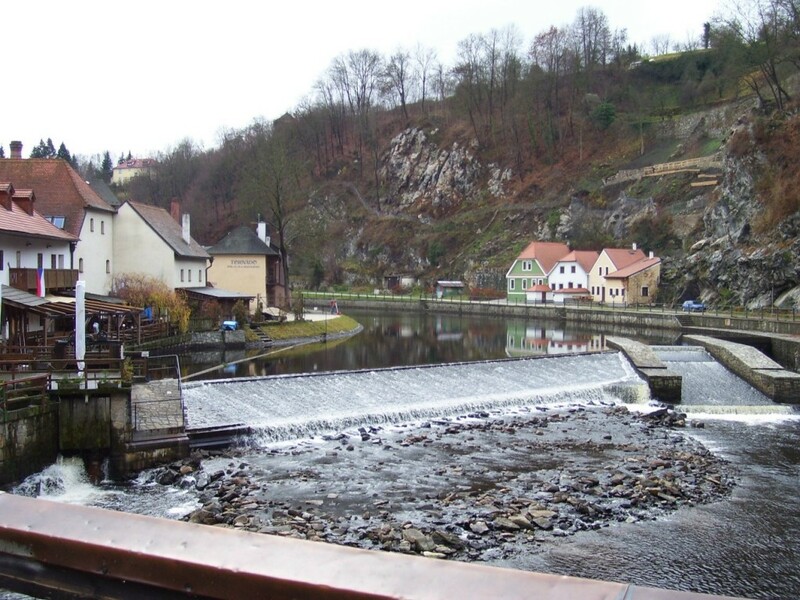 Between 1938 and 1945 the town was annexed by the Nazis as part of the so-called Sudetenland area but the town was restored to Czechoslovakia when it was liberated by the Americans. The German-speaking population was expelled. During the Communist era of 1945 to 1989, the majesty of the town fell into disrepair but was recharged after the November Revolution and much of its grandeur has been restored and the town is a hugely popular tourist destination for Germans, Austrians and other neighbouring European countries. The castle has preserved it’s Baroque theatre that was originally built under Prince Johann Christian I von Eggenberg. With it’s original stage machinery, scenery and props it is one of the few court theatres that exists and is still used. 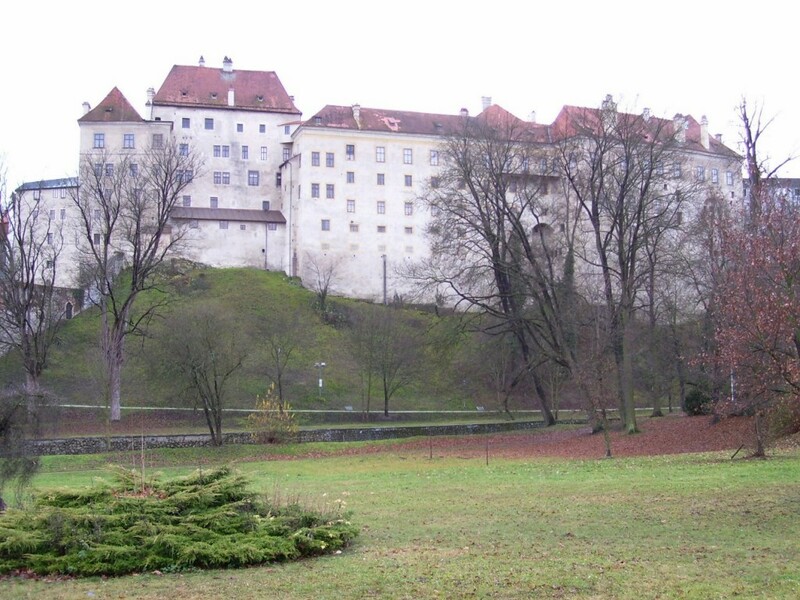 The castle area is one of the largest in central Europe. It is a complex of forty buildings and palaces, situated around five castle courts and a castle park spanning an area of seven hectares. One of the most prominent features of the castle are its resident bears that live in the moat between the 1st and 2nd castle courtyards. There have been captive bears kept below the castle since 1707. In 1994, their breeding pair had their first cubs in 27 years. Local residents have a special Christmas Eve celebration with the bears. Several six to seven meter Spruces decorated with gingerbread, fruit, sweets, Christmas cookies and biscuits are handed over early in the morning. Children can bring their own presents and the bearkeeper has to check that nothing harmful is given to them. A music group called Kapka sings traditional Czech Christmas carols to add to the entertainment. Three times a year a Baroque opera is performed in simulated candlelight. The theatre’s fragility was treated with disdain when it was looted by the Nazis and its then owner Adolf Schwarzenberg saw it seized by the Gestapo and then confiscated by the Czech Communists. Český Krumlov is soaked in culture and boasts the Five-Petalled Rose Festival and history is re-enacted when local residents don Medieval costumes as part of the festival celebrations. Old customs such as jousting, fencing, historical dance and folk theatre are brought to life and take place at the castle, local park and river bank. A blues, rock and soul festival is held annually at the Eggenbury brewery garden and since the November Revolution, the town boasts 80 restaurants. Český Krumlov lies very close to the Šumava National Park. Peat bogs, Alpine meadows, old-growth forests, lakes and rivers run alongside the German and Austrian borders.